The Rob Burgess Show is a podcast. New episodes every Friday. I've uploaded the first 100 episodes in one 6.75 GB folder on my Google Drive account, which you can download by clicking here. Hello and welcome to The Rob Burgess Show. I am, of course, your host, Rob Burgess. On this, our 50th episode, our returning guest is John Di Domenico. You first heard John on Episode 42 of the podcast. 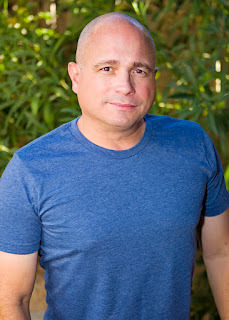 John Di Domenico is a professional actor, writer, performer, host, creative and celebrity impersonator. For the last 25-plus years he has been recognized as one of the busiest and most versatile corporate entertainers in the industry. He has worked all over the world for some of the largest production companies and their end clients by creating a unique form of infotainment. John is originally from the Philadelphia area and now lives in Las Vegas. John attended East Stroudsburg University and graduated from Temple University with a BA in speech communications. John spent a year as PR Intern for U.S. Senator Arlen Specter. He overcame a severe speech impediment to become an actor, impersonator and performer. John has written and performed at national and international sales meetings, product launches, trade shows and award shows around the globe for AT&T, SAP, SONY and SC Johnson, to name a few. John’s specialty is seamlessly integrating his ever-expanding cast of celebrity and original characters into any meeting element by writing content-driven comedy that delivers and amplifies the key messages of the meeting. Di Domenico’s Trump has been profiled on ABC News Nightline, NBC News, Vice Media, CNN, CNN Money, CBC, USA Today, Yahoo News, BBC Business Matters, Channel 4 (Britain) and has been covered by several major print and online news outlets in the U.S. including New York Times, Washington Post, LA Times, Adweek, McClatchy, The Hill, Miami Herald, Philly.com, NJ.com, Star-Ledger and many more. 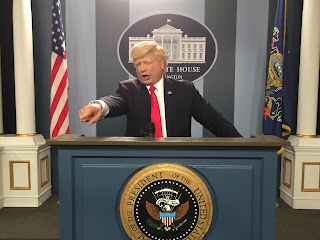 Di Domenico is the only Trump impersonator to appear in multiple segments of “Fox & Friends” for a cross promotion between “The Apprentice” and Embassy Suites with the approval of the Trump Organization. John's Austin Powers impression has been recognized as the best by People magazine and has been profiled on MSNBC. You can also find an extensive annotated list of his many media appearances as Donald Trump, which I'll be posting under this episode on the podcast homepage. On Feb. 25, Trump announced on Twitter he would not be attending the annual White House Correspondents Association dinner on April 29. On Wednesday, Alec Baldwin appeared on “Jimmy Kimmel Live!” to discuss the possibility of filling in for Trump at the event. On Friday, CNN’s Jeanne Moos filed a report on the controversy. If you enjoy this podcast, there are several ways to support it. I have a Patreon account, which can be found at www.patreon.com/robburgessshowpatreon. I hope you'll consider supporting in any amount. Also please make sure to comment, follow, like, subscribe, share, rate and review everywhere the podcast is available, including iTunes, YouTube, SoundCloud, Stitcher, Google Play Music, Facebook, Twitter, Internet Archive, TuneIn and RSS. 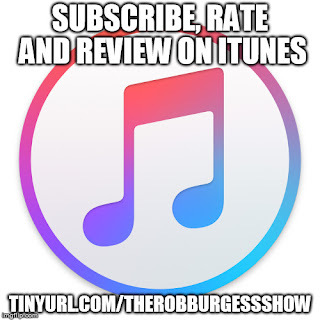 The official website for the podcast is www.therobburgessshow.com. You can find more about me by visiting my website, www.thisburgess.com. Voice of Donald Trump for Slate's “Trumpcast,” with three to four shows a week since March. People magazine: Only Donald Trump impersonator covered. Telegraph.co.uk, Caters U.K. News Service, Daily Mail U.K., Express U.K., The Mirror U.K., French News Service. Appeared as Donald Trump in three feature films. Ep. 4 - Michael A. Wood Jr.